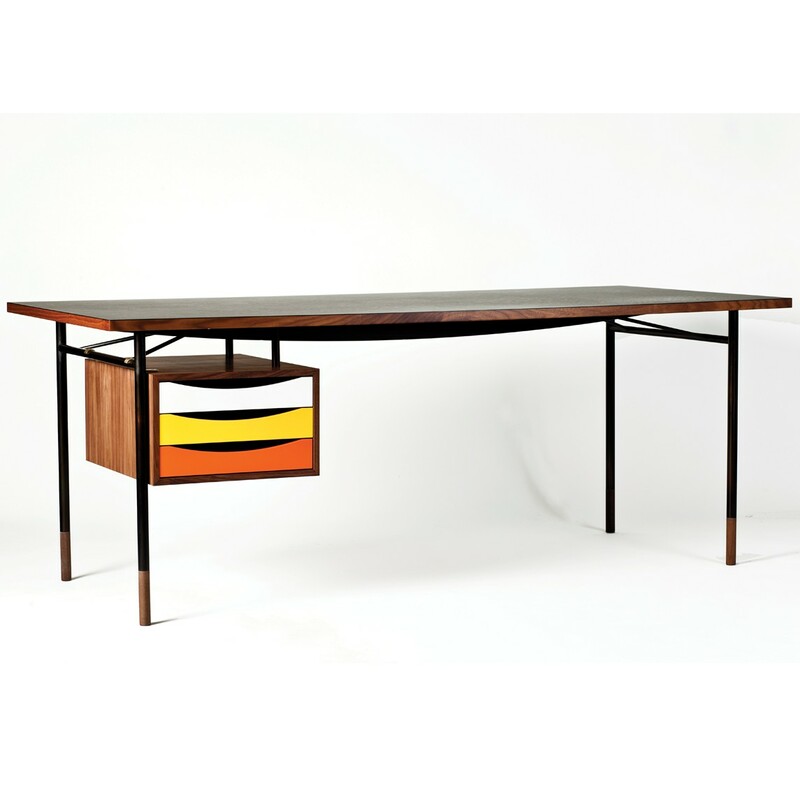 Finn Juhl designed a diverse range of furniture with frames of steel pipe during his working life. This was also the theme of the work tables for his first studio at Nyhavn 33, Copenhagen. As Finn Juhl in 1957 moved the studio to Sølvlvgade 38 in Copenhagen these tables were still in use. 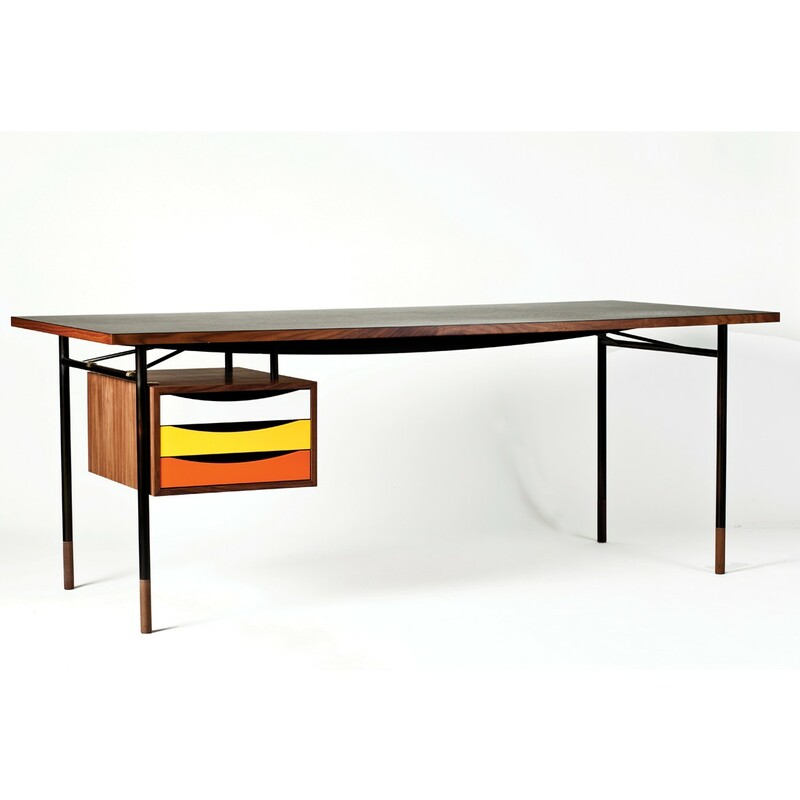 Onecollection have relaunched this simple and very stable table originally made of burnished steel tabletops linoleum or plywood. Frames and toes match in either walnut, teak or oak. The table comes with and without a drawer cabinet. The Drawer Cabinet with three coloured trays hangs like a floating, individual element under the light steel construction of the Nyhavn Table. This reflects Finn Juhl’s design philosophy of separating the elements to create visual lightness. As with the FJ Sideboard, the coloured trays are according to Goethe’s famous colour circle and come in a yellow / red scale and a blue scale. 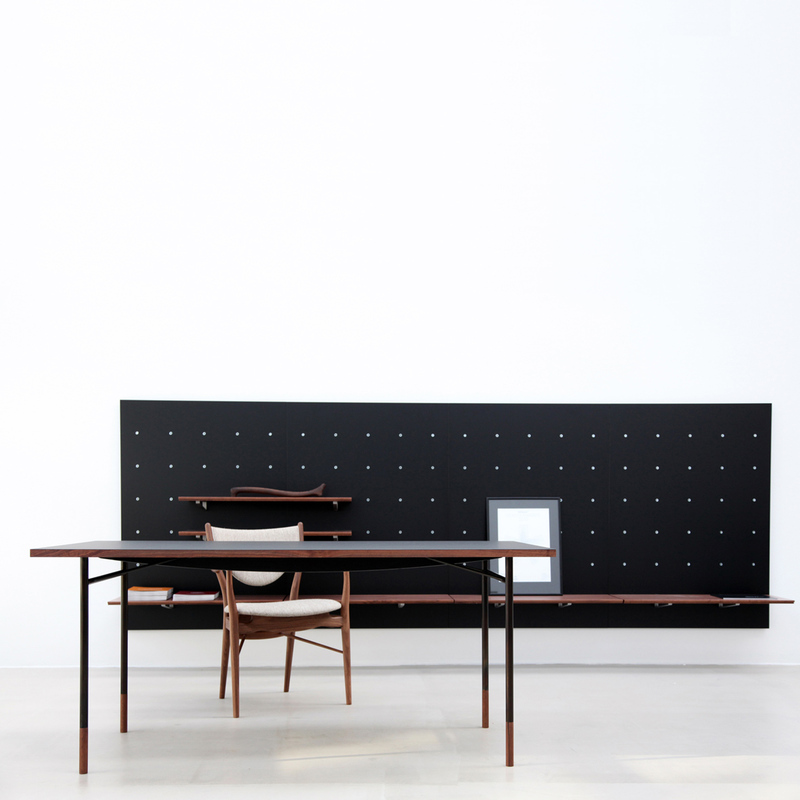 The Cabinet is available in walnut, teak or oak. 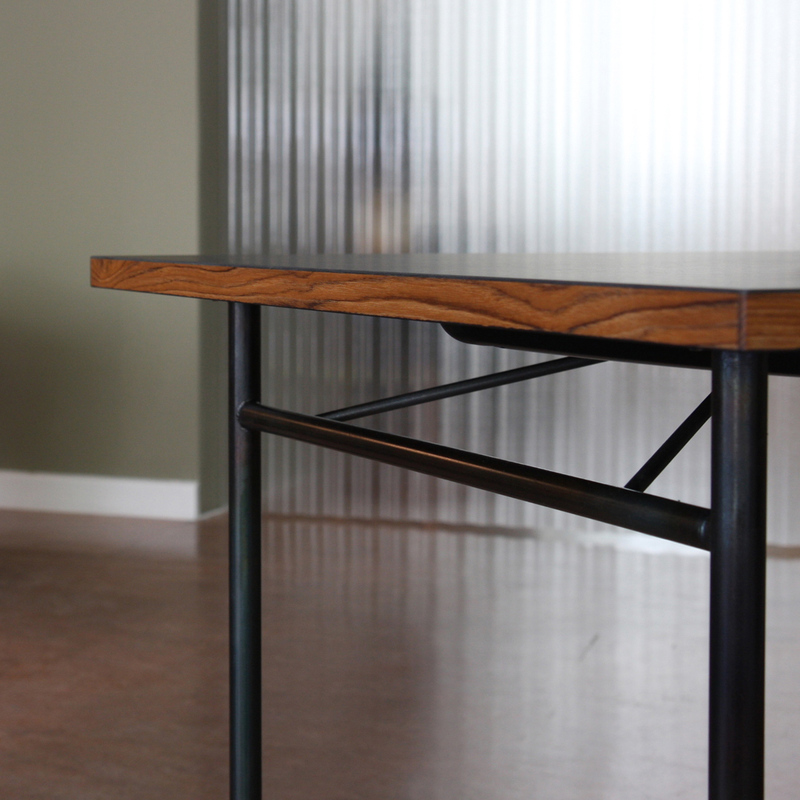 Suspension fittings are included in burnished steel. 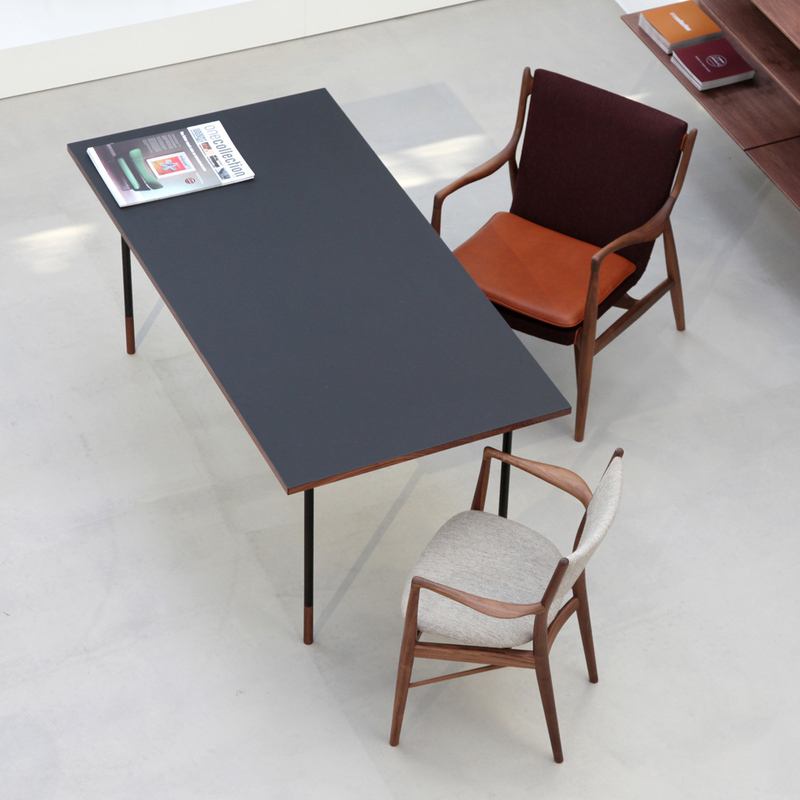 Nyhavn table by Finn Juhl with tabletop in linoleum. Frames and toes in walnut. Shown with drawer cabinet. 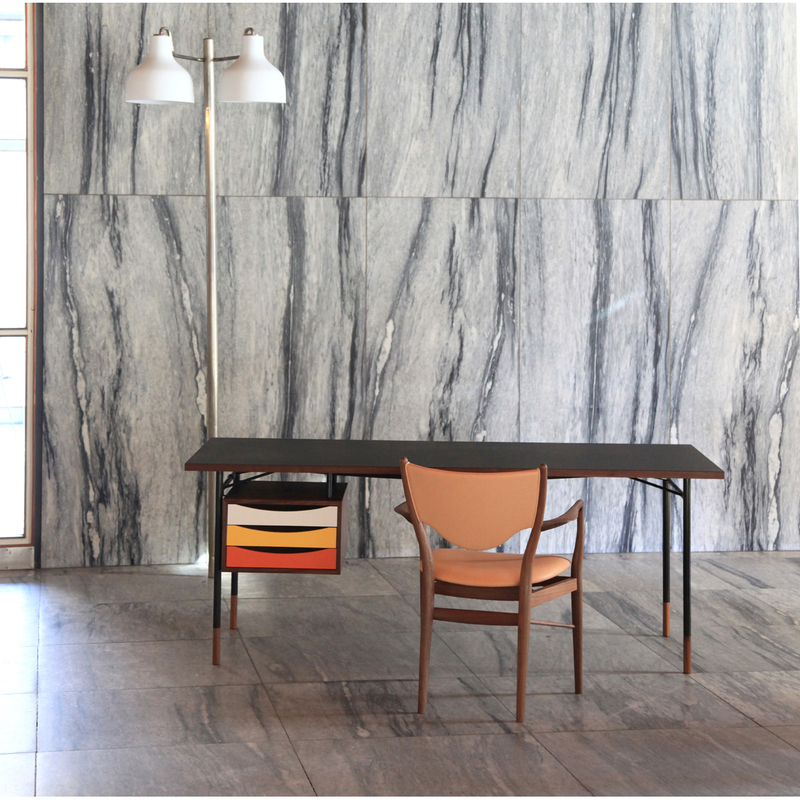 Nyhavn table by Finn Juhl with tabletop in linoleum. Frames and toes in walnut. Shown with 45 chair. Nyhavn table by Finn Juhl with tabletop in linoleum. Frames and toes in walnut. 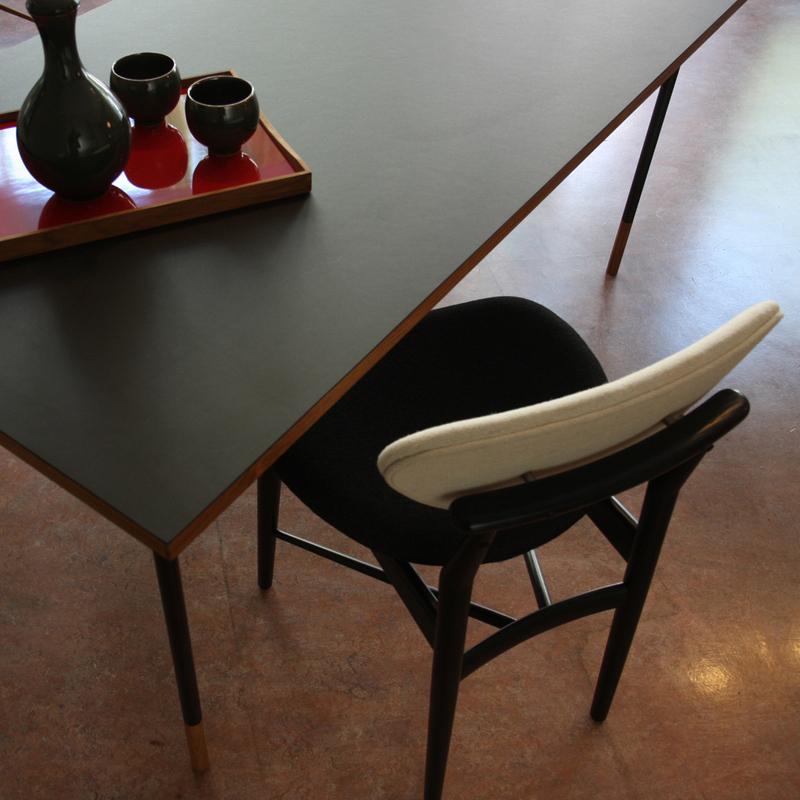 Nyhavn table by Finn Juhl with tabletop in linoleum. Frames and toes in walnut. Shown with 108 chair. 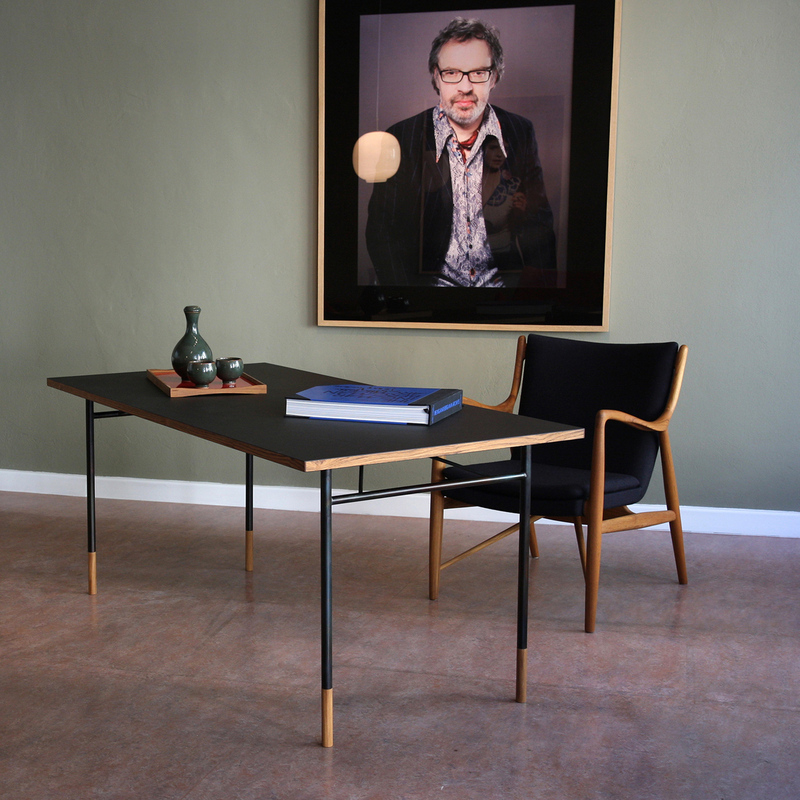 Nyhavn table by Finn Juhl with tabletop in linoleum. Frames and toes in walnut. Shown with 45 and 109 chair. Nyhavn table by Finn Juhl with tabletops linoleum. Frames and toes in walnut. Shown with 109 chair.